Over-The-Counter (OTC) medicines are drugs that are generally safe for all. They do not require doctor’s prescriptions to let you purchase such kind of drugs. While usable by many under normal circumstances, these drugs may still pose health risks to users. One of the common risks is an allergic reaction. Though chemically engineered to be suitable for all, some people have peculiar body set-ups that prove to be too sensitive. Knowledge is power. To guard yourself against any unwanted complications, carefully peruse the details of the drug. Check the ingredients and the nutrients each drug is composed of. Should you find a component that your doctor had previously warned you about, better pick a safer variant. Reading can save lives, and do not let ignorance get the best of you. 2. Take note of the expiry date. Medicines lose their healing ability once the expiry date comes. Moreover, taking an expired drug may do you more damage than good. According to reported cases, patients may suffer from throat irritation, vomiting, and dizzy spells. At worst scenarios, death is even possible. Medicines are usually bought in bulk, so store the remaining ones properly. Improper storage can cause the drugs to change and deteriorate. Choose a storage area that is dry, cool, and away from the sunlight. The recommended room temperature is not more than 30 °C. Also, place the storage box in high or hidden places to keep it far from the reach of children and even pets. When you are not too knowledgeable with certain kind of drugs, do not hesitate to ask the resident pharmacists. It is part of their job to entertain your questions and give you appropriate directions and answers. Should you ask a St. Mary Pharmacy pharmacist, expect that he or she will be polite and helpful. The ultimate power of medicines lies within you. A pill does not ingest itself in your body; it will require your cooperation to work. Make sure to take it during prescribed hours at recommended frequency. Never attempt to underdose or overdose. The consequences are always ugly. Some drugs have different effects on children, pregnant women, women on their period, and sickly senior citizen patients. There are even drugs that should not be taken simultaneously with another. Get connected with reliable sources and increase your pharmaceutical knowledge. 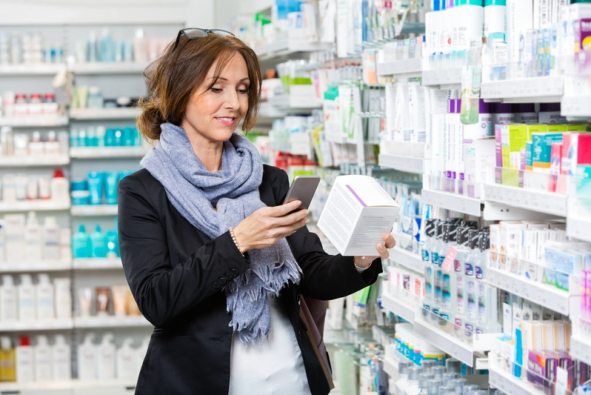 Shopping for medicines and other related supplies should not be bothersome. At St. Mary Pharmacy, we promise speed, accuracy, and quality. Our ready and knowledgeable pharmacists are more than happy to take on your concerns. Not a Pharmacy in Palm Harbor will serve you the way we do! Open from 9:00 a.m – 6:30 p.m. (weekdays) and 10:00 a.m – 2:00 p.m. (Saturdays), our humble store can be visited at 30606 US-Hwy. 19 N Palm Harbor, Florida 34684. This entry was posted in Pharmacy Services and tagged compounding pharmacy, expectations from a pharmacy, pharmaceutical, Pharmacy care, pharmacy tips, Taking Any Over-the-Counter Medicine. Bookmark the permalink.